​Opinion: ​Non-financial Reporting Directive Update: What Is Changing? This February the EU Commission released the Consultation Document on the Update of the Non-Binding Guidelines on Non-Financial Reporting. The Consultation Document is worth the attention as it provides a clear picture of where the next generation of disclosure requirements is heading, so companies can be ahead of the game. The document mentions the Task Force on Climate-related Financial Disclosure (TCFD) 53 times over 33 pages – more than one mention per page. Is the EU suffering from the TCFD obsession? Not exactly – I would rather say that the new Non-Binding Guidelines are setting the stage for the NFRD to “​absorb” the TCFD. From a more technical perspective, the Consultation Document describes in detail how the Non-Binding Guidelines will align the Non-Financial Reporting Directive requirements to the TCFD recommendations. In particular, the Consultation Document provides a useful mapping that clearly visualizes how the two framework align. “The taxonomy of sustainable economic activities, proposed by the Commission as part of the Action Plan on Financing Sustainable Growth, will help to identify and classify such Opportunities”. In other terms, the EU Commission is implicitly making the point that it is creating the policy tools to enable the climate-related opportunities (e.g. the green supporting factor). “The TCFD proposes that its recommended disclosures are published in the company’s “annual financial filings”. The NFRD allows Member States to permit companies to publish their non-financial statement in a separate report under certain conditions, and a majority of Member States have taken up this option”. They conclude that “regulatory support will be ultimately necessary” to make the transition happen, and in this sense the Non-Binding Guidelines of the Directive are not providing that kind of support. Other authoritative voices in the field are also raising this point, including ACCA’s commentary to this January’s EU Technical Expert Group on Sustainable Finance Report. 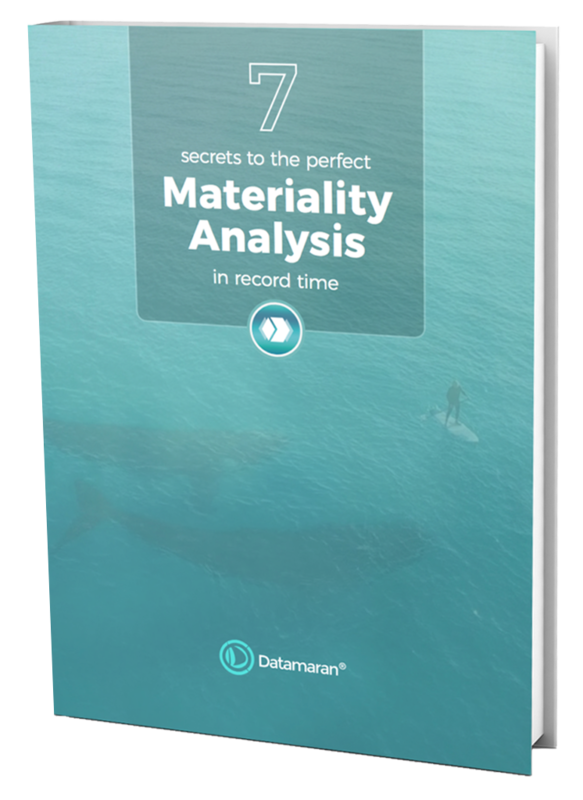 Interestingly, the Consultation Document introduces a new definition of materiality – called “double materiality”. The first perspective concerns the potential or actual impacts of climate-related risk and opportunities on the “performance, development and position” of the company (indicated as “financial materiality”, with an investor type of audience). The latter refers to the “external impacts of the company’s activities” (labeled as “environmental & social materiality”, whose audience consists of consumers, civil society, employees, and investors too). Besides the label, the definition does not introduce new elements to the concept of materiality, reflecting two perspectives that were already described in other frameworks or guidance documents. Rather, it is there to ensure alignment with the TCFD, which is based on the “financial materiality” definition. In my opinion, it is more interesting, instead, to look at the implications of the double materiality in terms of new disclosure requirements concerning the materiality determination process. “Companies should consider using the proposed disclosures in these guidelines if they decide that climate is a material issue from either of these two perspectives”. This implies that companies can make a decision concerning the materiality perspective (financial or environmental & social, or both) they are adopting when disclosing the information. This evidently calls for enhanced transparency from the board on what materiality perspective is adopted and why. Best practice in this sense would be Statement of Significant Audiences that Eccles and Youmans already proposed in 2015. Setting the boundaries of the materiality assessment so that “natural, human, and social capital dependencies” of climate-related issues are reflected. Specific materiality methodology disclosure requirement. “Describe the company’s processes for identifying and assessing climate-related risks over the short, medium, and long term and disclose how the company defines short, medium, and long term”. Importantly, the NFRD disclosure requirement is mapped to the TCFD Recommendation Risk Management a), which states that the best way to answer the disclosure requirement is through disclosing the materiality assessment methodology. As explained in the Consultation Document (and also evident from their name), the Non-Binding Guidelines of the Directive are non-mandatory supplement to the requirements of the The EU Non-Financial Reporting Directive. Although voluntary in their nature, they provide a clear indication on where the policy making activity is heading: towards enhanced transparency and an increasing importance of materiality analysis. Recently, I have written another piece, where I explored the evolution and the impacts of materiality analysis on defining corporate accountability.